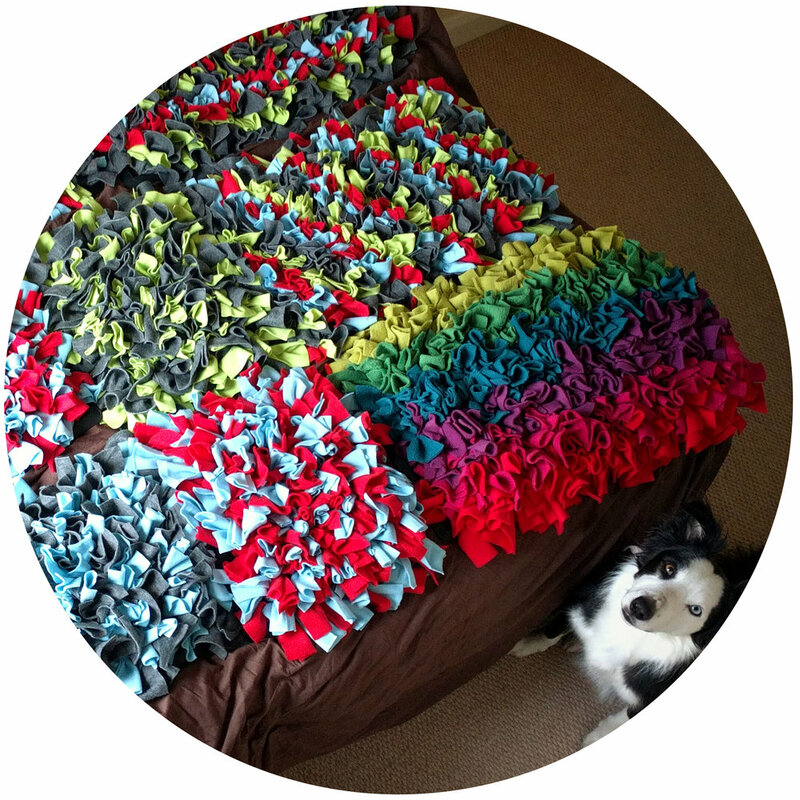 Snufflemats make feeding time exciting and rewarding for dogs! Take a look at the video to see what a Snufflemat is and why it's such a nice addition to your dog's life. You can choose between Mini, Small and Medium Snufflemat. You can pick a Snufflemat from our collection or have one custom made. Please note that colours may different slightly from the one showed on the screen. You can choose among one of the eight patterns available below. Please fill in the form below to order your Snufflemat. You will receive a confirmation email and instructions for payment (PayPal). All Snufflemats are handmade with love :) therefore, the delivery will take place within 2 and 3 weeks from the receipt of order. 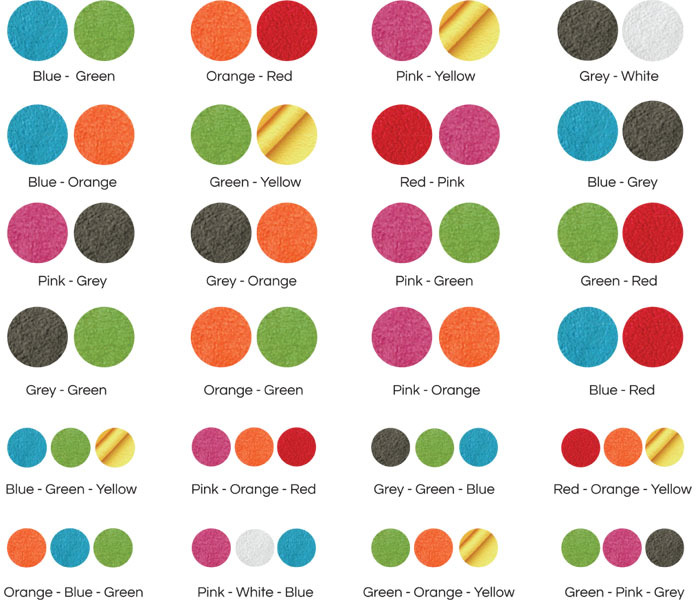 If you selected a Solid Colour Mat here you can pick ONE colour. 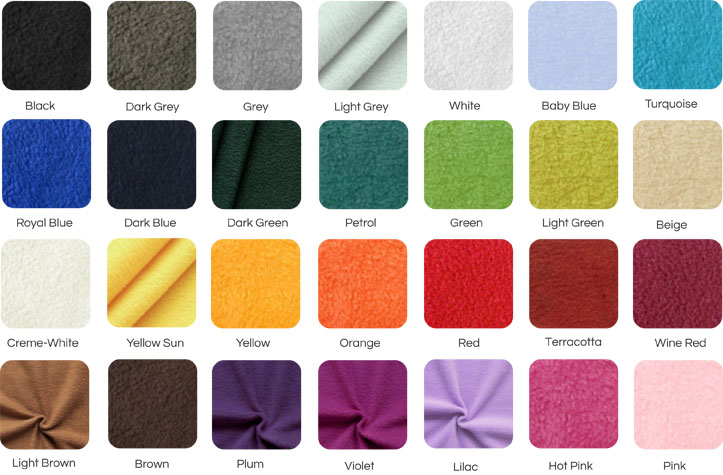 If you want to select a Snufflemat from the collection here you can pick ONE colour combination. You can pick up to 3 colours for the Small Snufflemat or up to 4 colours for the Medium Snufflemat. You will receive a confirmation email and payment details within the next 24 hours. 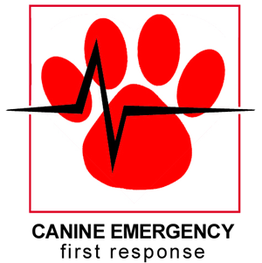 Please don't hesitate to contact us at info@canismajordogtraining.com if you have any questions. Simply sprinkle some dry food (for example kibble) on the mat, hide it among the pieces of fleece, then place it on the floor and allow the dog to find it and eat the food eaten in the Snufflemat. - It is the owner responsibility to decide whether this toy is suitable for their pet. - Alway supervise the dog when he's using the Snufflemat, never leave the Snufflemat out when the dog is alone. - Know your pet chewing style, if he tends to chew and swallow non food items, then this toy may not be suitable. - This toy contains parts that may represent a chocking hazard. - Inspect the toy regularly, if damaged replace. - Don't grab the Snufflemat and take it away from the dog when he's working on it, instead, if you want to take the mat away, divert the dog's attention so that he can move away. For example throw some yummy treats or his favourite toy in another direction or pretend to get his lead and get ready to go out. Once the dog has moved away from the Snufflemat, preferably in another room, close the door and reclaim the Snufflemat. - If you have multiple dogs, it would be best to let them use the Snufflemat separately/at different times, allowing only one dog access to the Snufflemat at any given time. - Make sure children do not approach and disturb the dog when he's using the Snufflemat and give the dog plenty of space when he's eating on the mat. After use, pick up the Snufflemat and shake it to let the excess food on the floor and then brush it up. If you want to do a deeper clean, you can hose the Snufflemat down with some clean water, then you can spray it with animal safe disinfectant and rinse it out with clean water, making sure that all the disinfectant is remove and let it dry.